Love the way it's all fluffed up! Great capture and like your pp. 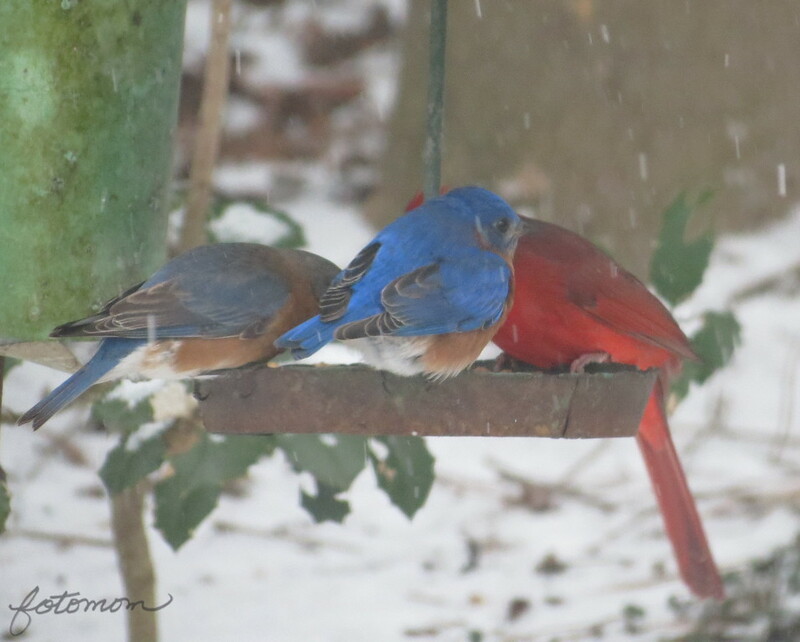 Great shot especially of the snow as its falling again today!I never see blue birds in y backyard! 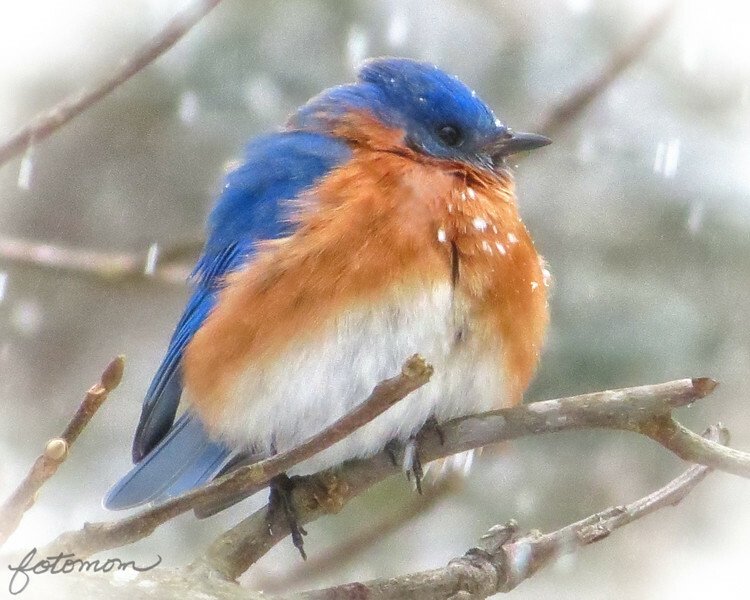 Beautiful bluebird and a terrific shot! Wonderful - next year's holiday card. What a pretty little fellow. He looks cold.